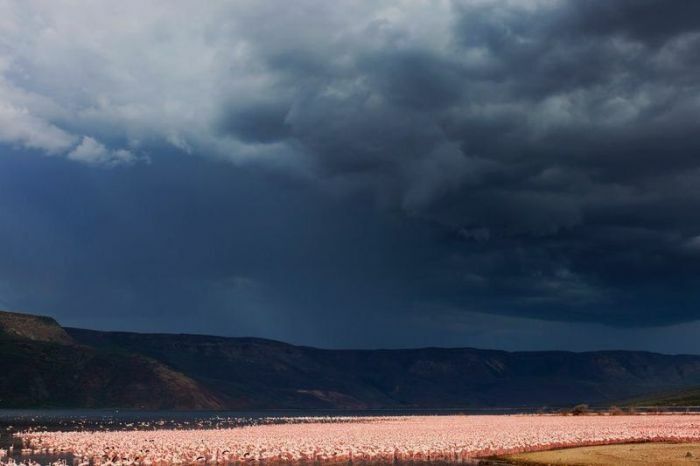 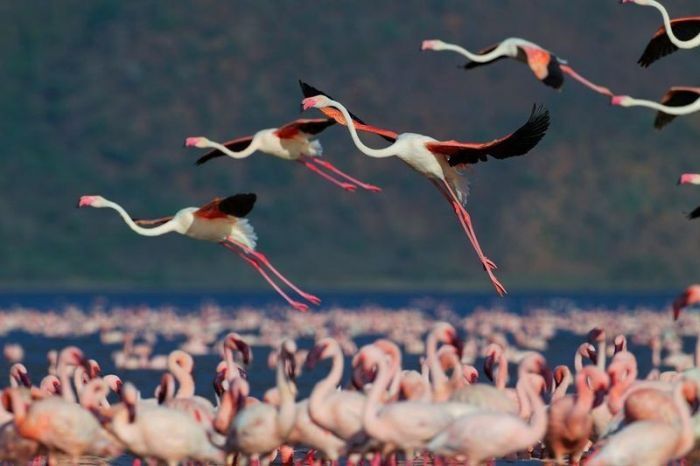 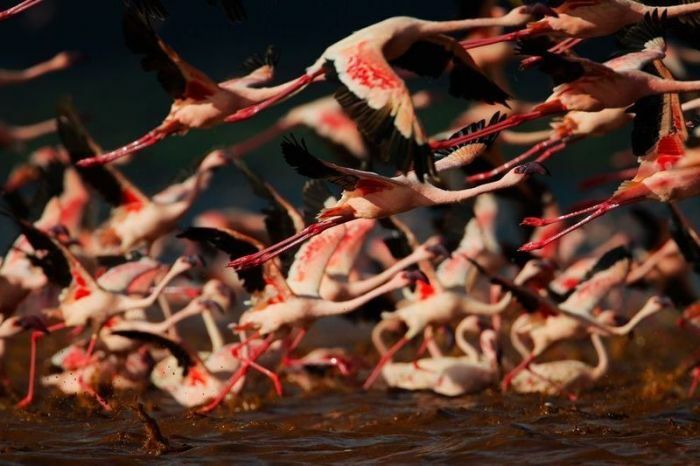 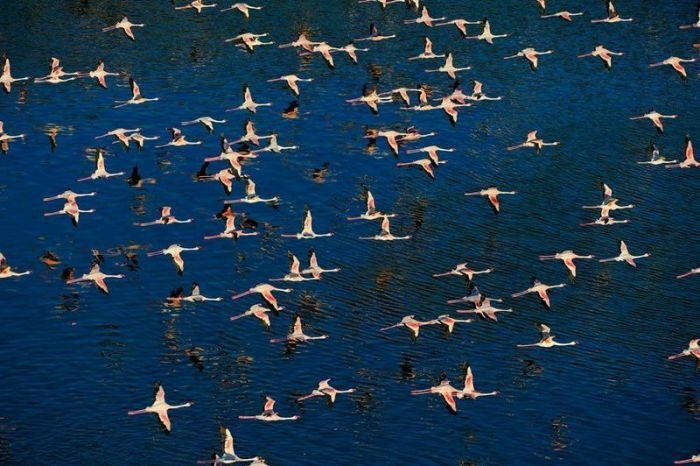 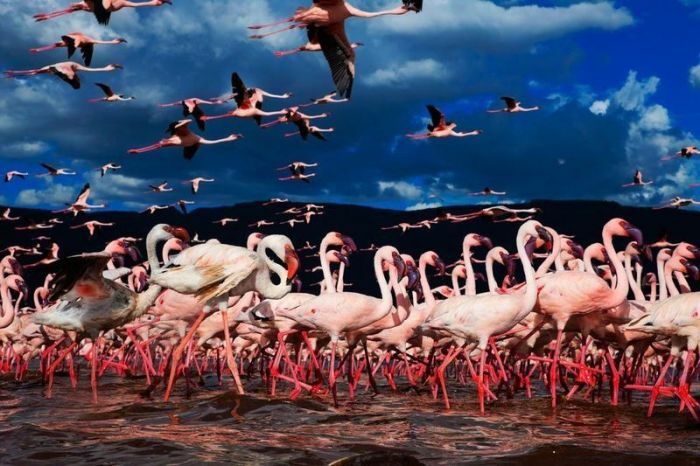 The lake Nakuru is located in Kenya. 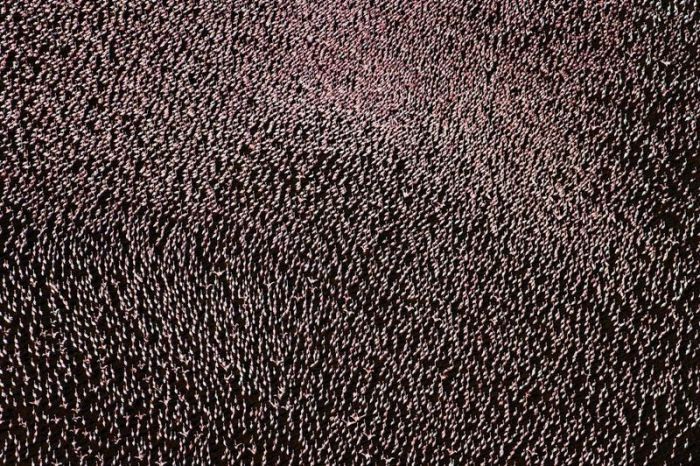 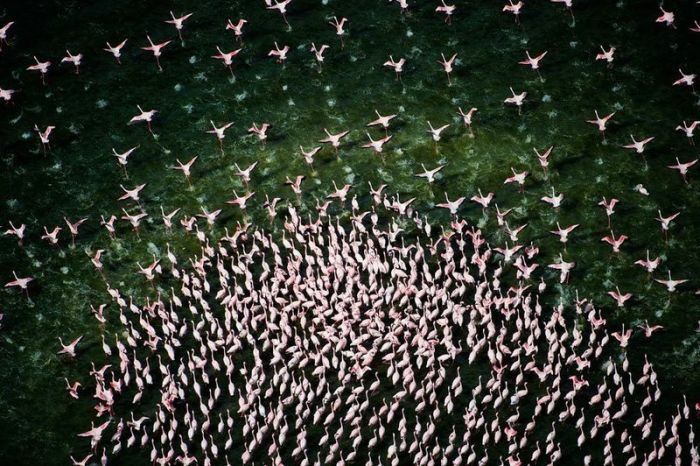 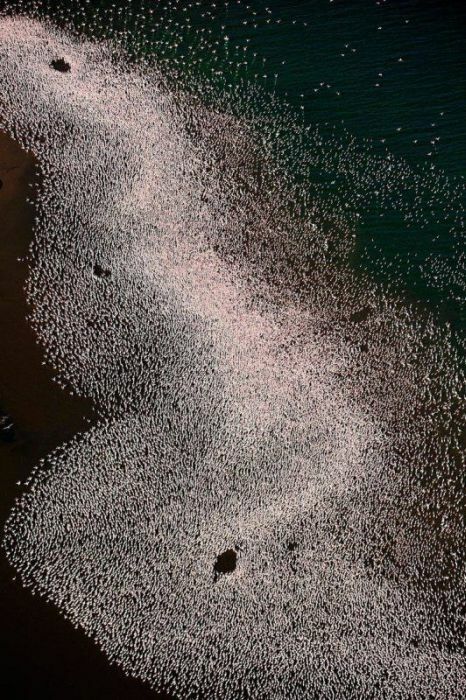 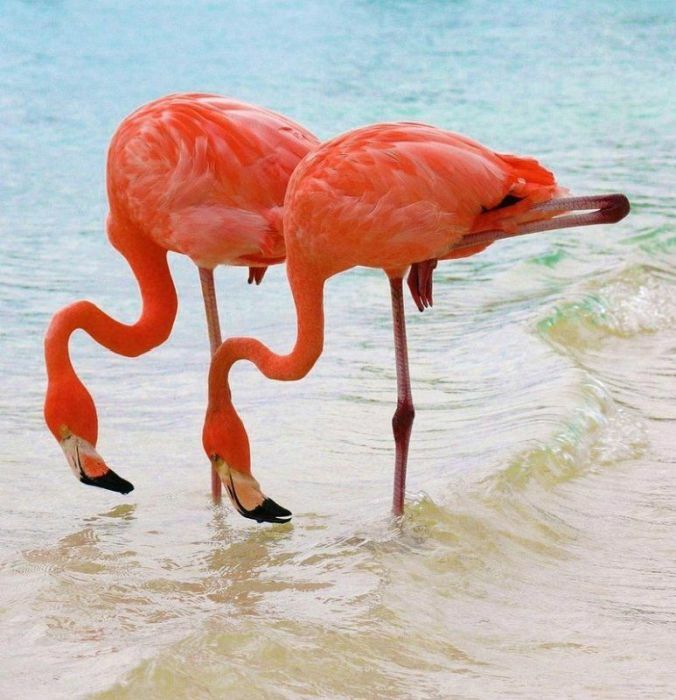 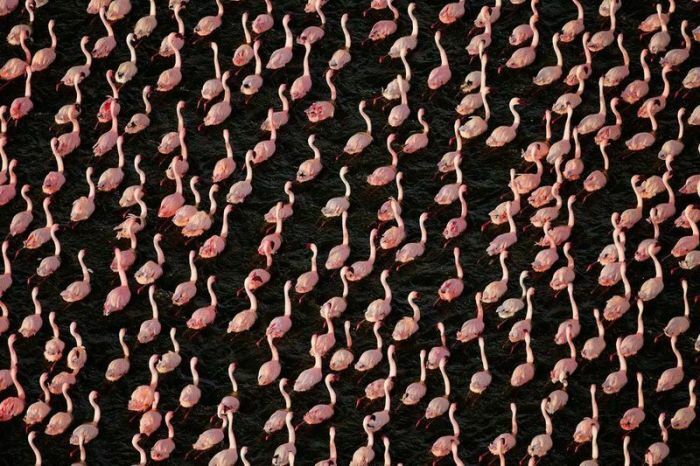 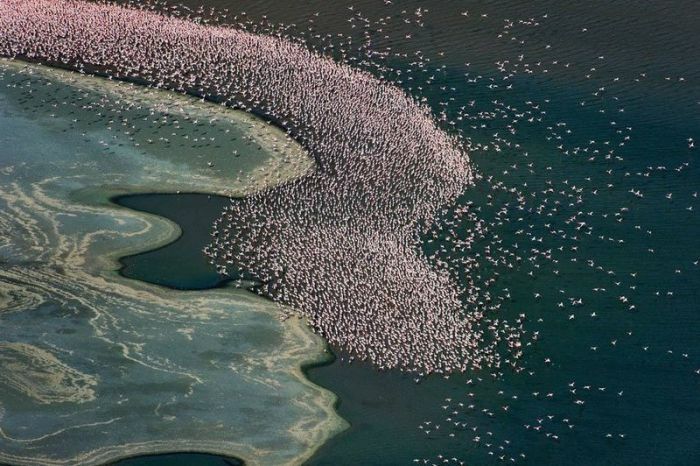 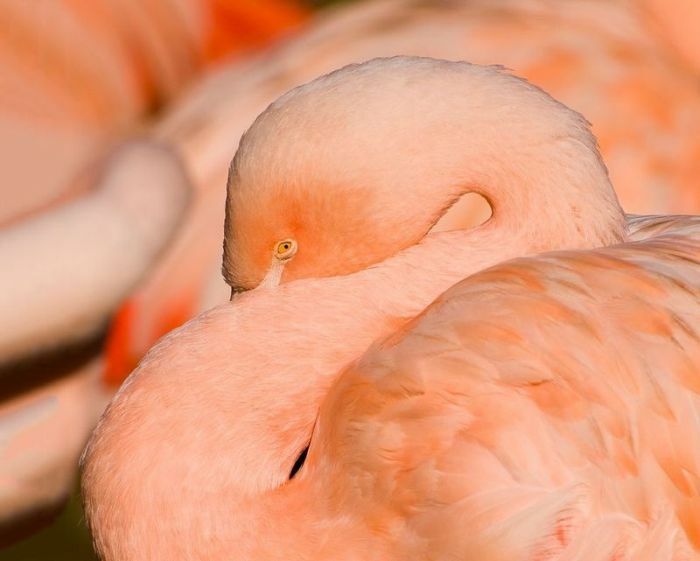 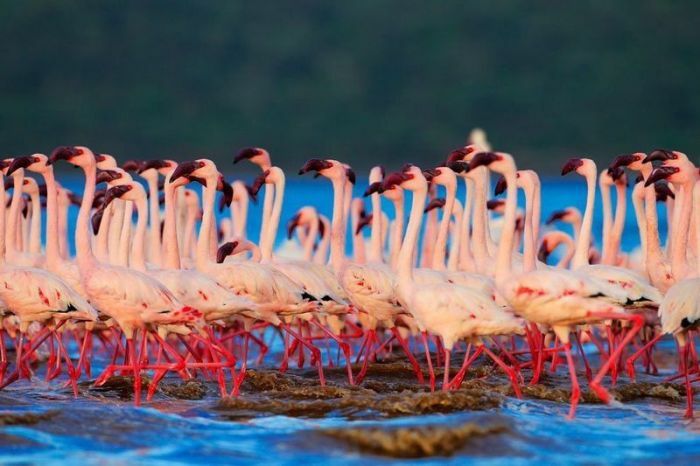 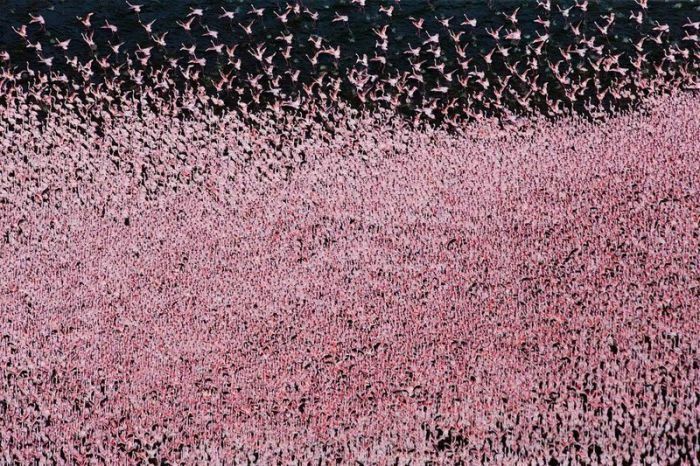 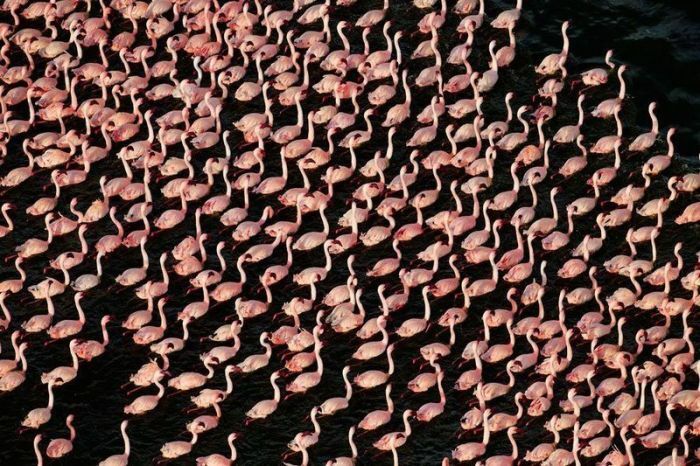 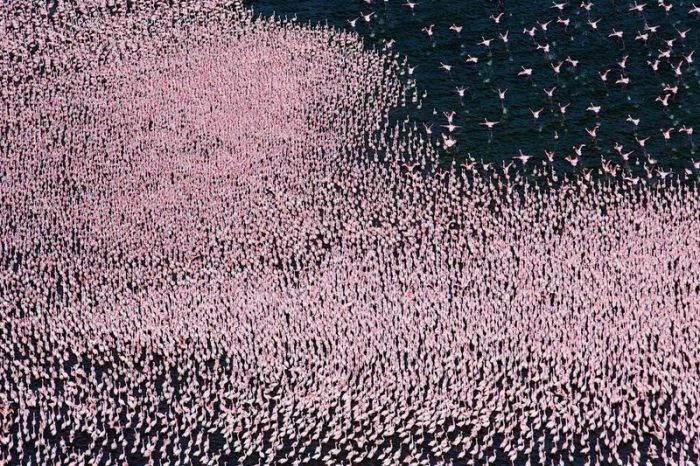 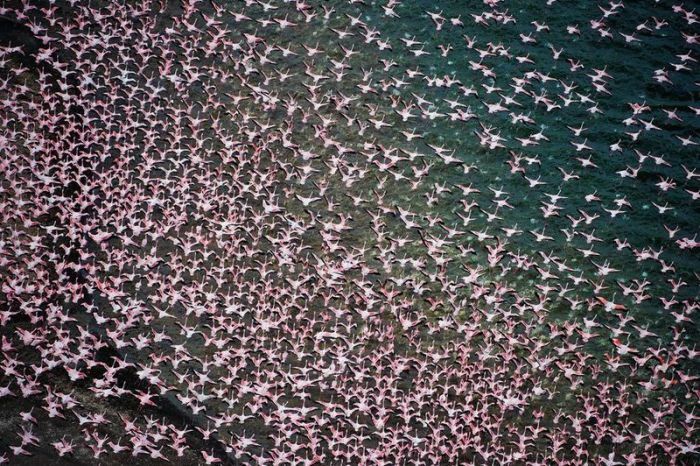 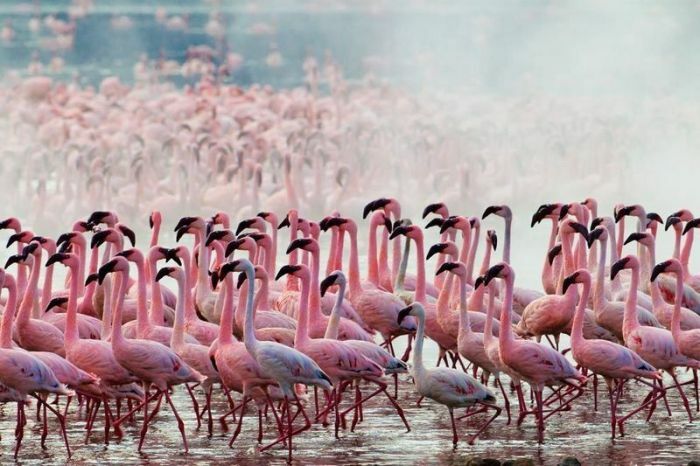 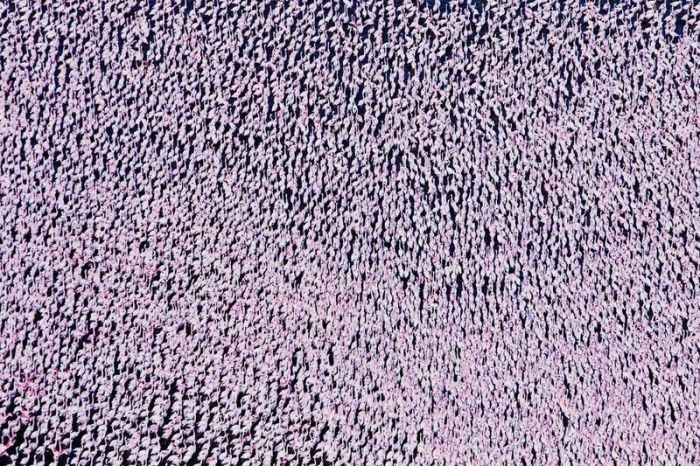 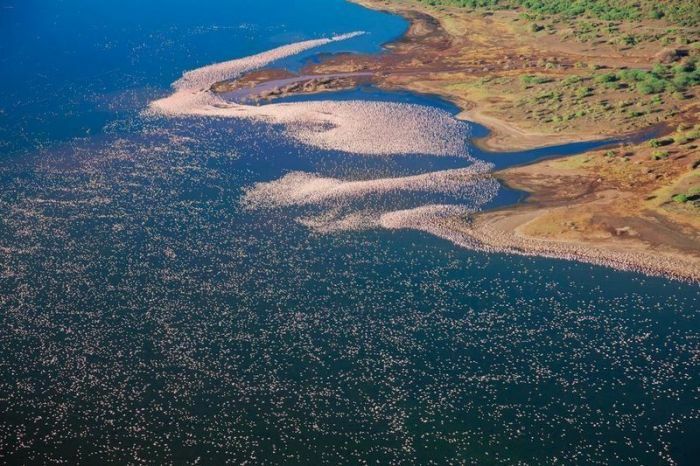 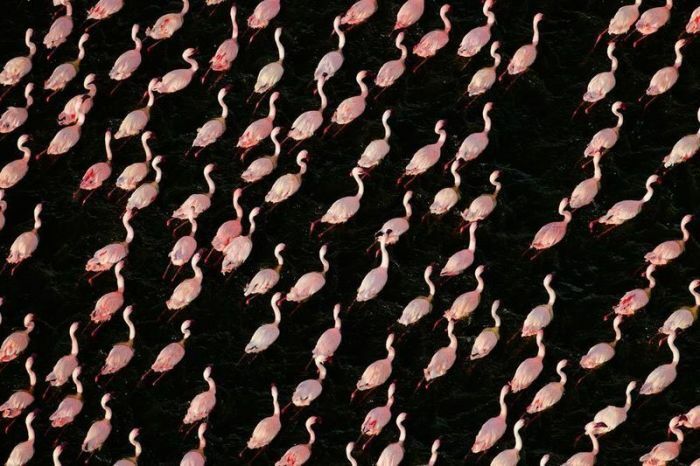 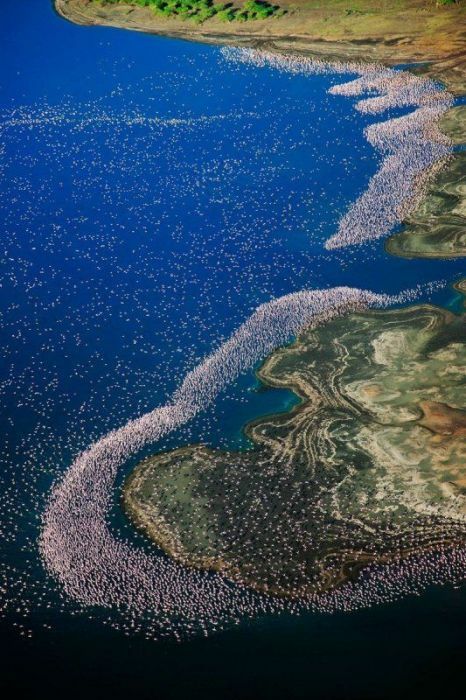 It's abundance of algae attracts the vast quantity of flamingos that famously line the shore. 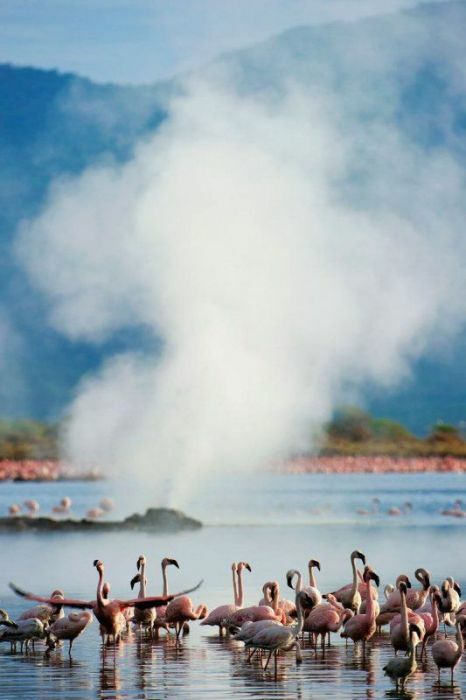 This is not Lake Nakuru. 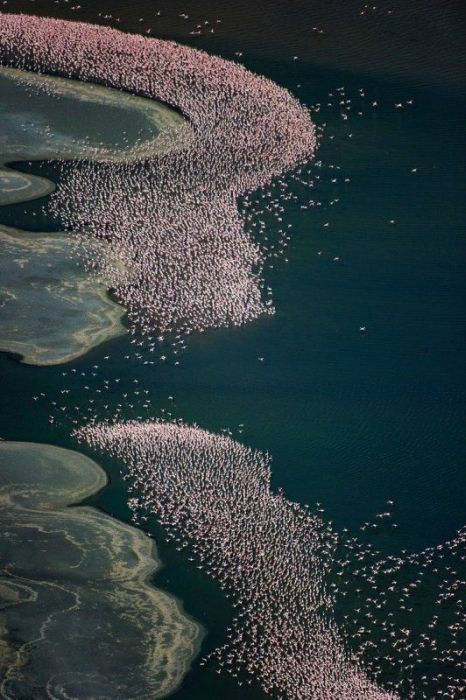 This is Lake Manyara in Tanzania. 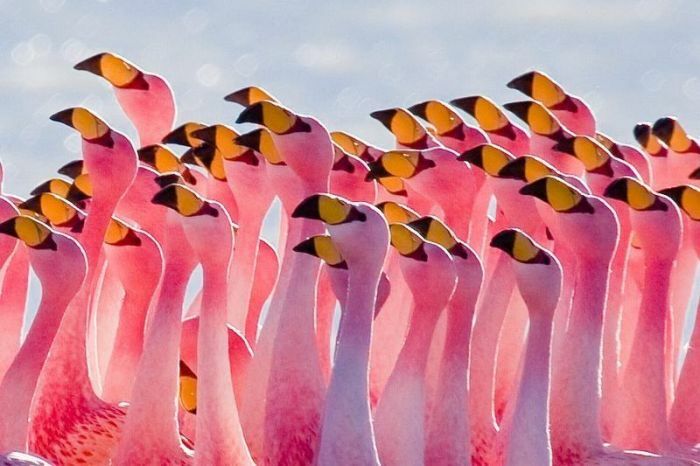 #24 All facing in the same direction. 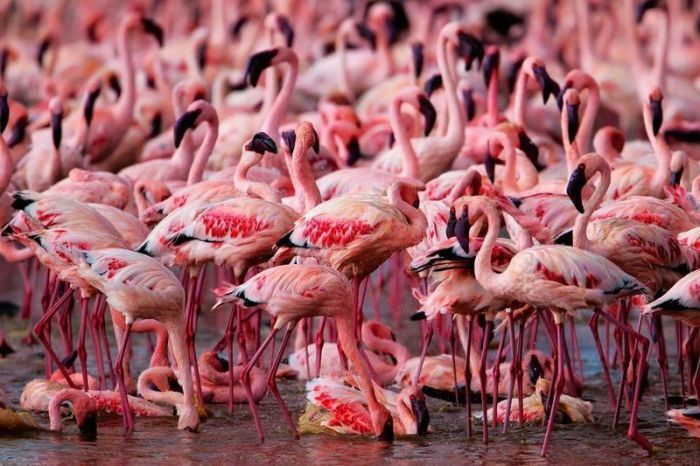 All this pink hurts the eyes.